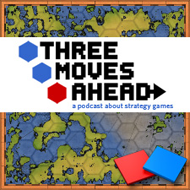 Troy, Tom and Rob talk about Code Force’s Distant Worlds, a 4x Space RTS that tries to tackle the challenge of ceding control. How can a game get past player paranoia about letting the AI handle things? When does a player choose to intervene? How can the AI failure at basic tasks undermine your confidence in everything else? Why and when does Distant Worlds work? Also, last chance to win one of two copies of Making History. Cool. After several wishful suggestions I am glad you finally got this game and discussed it. I’m downloading the podcasts now. I’m very curious. An interesting discussion. I still like the game despite its flaws and think the committment from the developer and publisher mean those will be dealt with sooner rather then later (I’m looking at you, Creative Assembly and Paradox). That said, in reading around various boards I do think there was something you guys didn’t really touch on, which is that while DW allows micromanagement, it’s not a game that micromanagers will enjoy. Why? Because there is too much going on to allow that to be viable for most players. Ultimately people who approach the game from that perspective will end up complaining about the UI and the AI will never be good enough. I’m not saying there aren’t things that need to be fixed, just that this is a game that requires you to accept that you don’t have full control. Players who can’t accept that will never like this game or this type of game. I was wondering how the game played compared to others. You made comparisons to Sins, but what about Galactic Civilization 2? I always found that Gal Civ didn’t make enough sense for me to enjoy it, and the manual (written by Tom) didn’t explain enough for me to enjoy it. I played a game of Gal Civ while listening to this podcast, and found that there wasn’t enough cause and effect for my actions in the game. The automation in Distant Worlds might make this not as bad, since I won’t be controlling the things I don’t understand. Also, maybe I missed this, but how does the combat work? This was something I couldn’t stand in Gal Civ. I’d just like to mention that my pretty-much-never-played copy of Imperialism II is sitting here next to my computer waiting for the show where you guys tell me why I absolutely must play it. Someone tell Geryk that part of the healthcare bill is Obama forcing doctors to take a holiday so they can podcast and stuff. I’m not certain I like the idea of letting the viceroys run anything like a significant portion of the show. It’s probably because Master of Orion III burned me to the point where I don’t think I can be convinced that the concept can work. Too much went wrong back then, too much still goes wrong. Now, I’m all for things going wrong if there’s a snazzy little narrative, viceroys having their own agendas for example, but that relies entirely on me believing that the AI control can work properly if it really wanted to. If there’s enough rot in the engine to make me question whether or not it’s a case of my poor understanding the system over system shenanigans, that suspension of disbelief goes away very quickly and does not ever come back. It’s easy to have that trust at the start of any title, sure; it’s easier to lose that trust when the tiniest of things go wrong. What I’m trying to say is that, in situations where I’m forced to cede control to the AI, the AI has to be damned good at what it is going to be doing or I just turn away mentally. As good as I would be able to run things if I had the time and patience to do them myself, actually, or there’s no point in using it other than to save time (which then causes feelings that I’m being artificially punished). I’m open to the option, though I don’t think game designers are at the level where this is feasible yet in “grand” titles. What’s odd is that I’m fine with imperfection AI decisions when I don’t have very much choice in the matter, the Dominions series and their battles come to mind in that regard. In that title, while I get the sense things would go much better if I were moving the units around and attacking by myself, it “feels” fair. Like I’m not being cheated for saving my time and that everyone else is following the same rules. Then again, maybe I just don’t understand the need for Infinite Fleets of Transport Ships. One thing I didn’t really get a sense of during the podcast was this: if the AI takes away (or can do) most of the micromanagement of Empire, what sort of macro decisions does this free you up to make? What sorts of routes to victory are there and are fun to strive for? colony tax rates, ship design, agent recruitment, troop recruitment, fleet formation, colonization, ship construction, intelligence agent missions, attacks against enemies, sending diplomatic gifts, treaties, and declaring war and trade sanctions. Any of those can be set to fully automate or give suggestions or complete manual. Even if it is automated, you can jump in and make changes yourself. For example, I automate ship designs but also make a couple of my own to supplement the AI creations. The automation frees you up to do whatever part of the game you like. Personally, I focus on colonization and manually controlling two or three fleets for military operations. I like your style, Allen. Nice work. Can we get some more Bruce again on the podcast soon, Troy? Nice episode, but I gotta have more Bruce. We are trying to schedule around Bruce. Not easy. But he’s still a member of the team.